I bought broccoli a couple days ago with the intentions of making a Broccoli Bacon Salad for an election party but my Tuesday got away from me and I couldn’t make it :0( SO, when I got home tonight (3 minutes before the very hungry Mark) broccoli was on the brain. Of course, I still wanted to make my salad but Mark was looking for something a bit more “filing” … I continued while he stood over my shoulder and the very second he found out that I was making a salad he headed towards the pantry and pulled out the pasta- classic Mark :0) He then stole a heap of broccoli and the battle began. 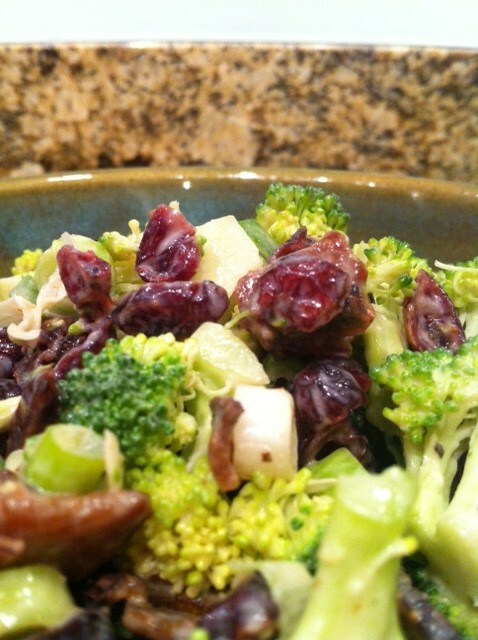 Prepare your dressing in a smaller bowl and then combine! 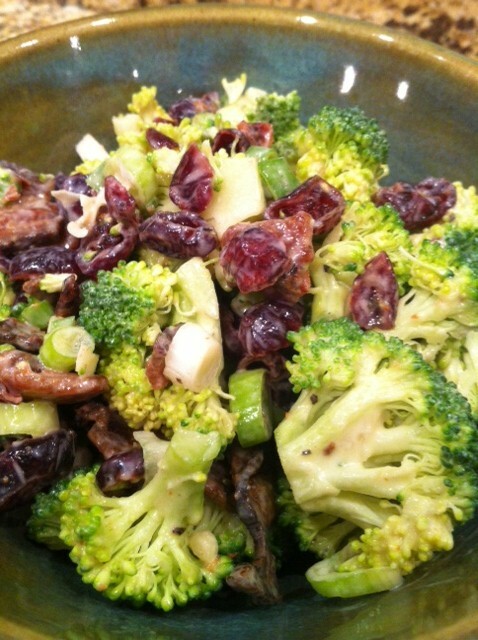 In a large bowl add the broccoli, onions, bacon and cranberries. In a small bowl, mix garlic, mayonnaise, creme fraiche, vinegar, sugar, salt and pepper. Be sure to taste it to make sure the dressing is seasoned to your liking! 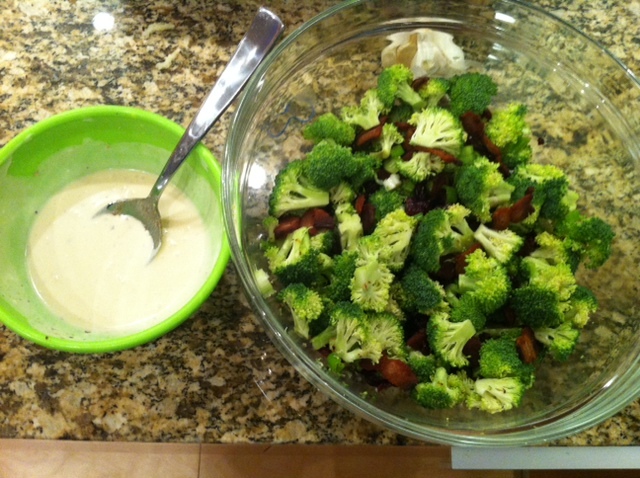 Pour the dressing over the broccoli mix well! Chill for about 20 minutes and serve.